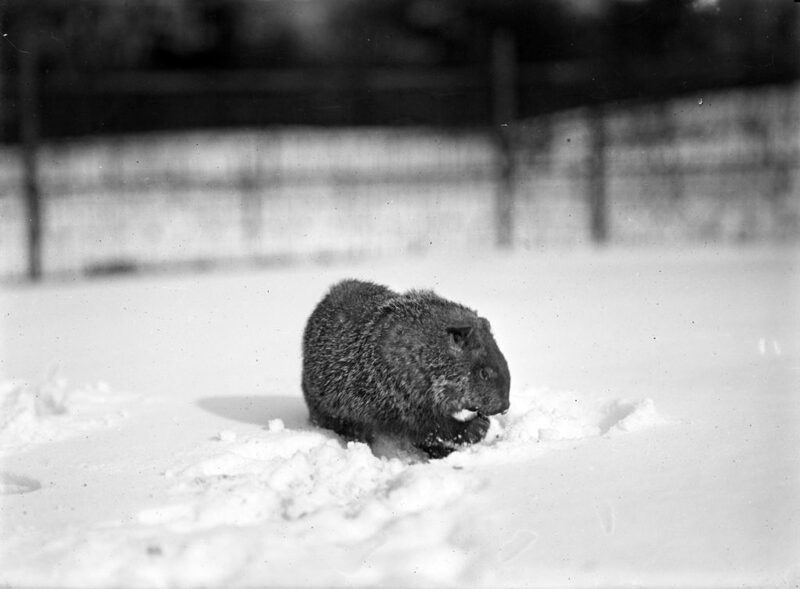 On Groundhog Day in 1928, the Bronx Zoo gathered what the New York Times called a “caucus of honorable groundhogs” to take part in the annual weather prediction tradition. The gathering of groundhogs ultimately saw their shadow that morning and declared more winter for New York City, and a broadcast with this result was sent out by the zoo’s woodchuck curator John Toomey. Above is one of the members of the Bronx Zoo Groundhog Day caucus seeing his shadow.